Etto studio, run and owned by the designer Yaron Elyasi, is the creator of “Free Molding Technology” (registered patent). 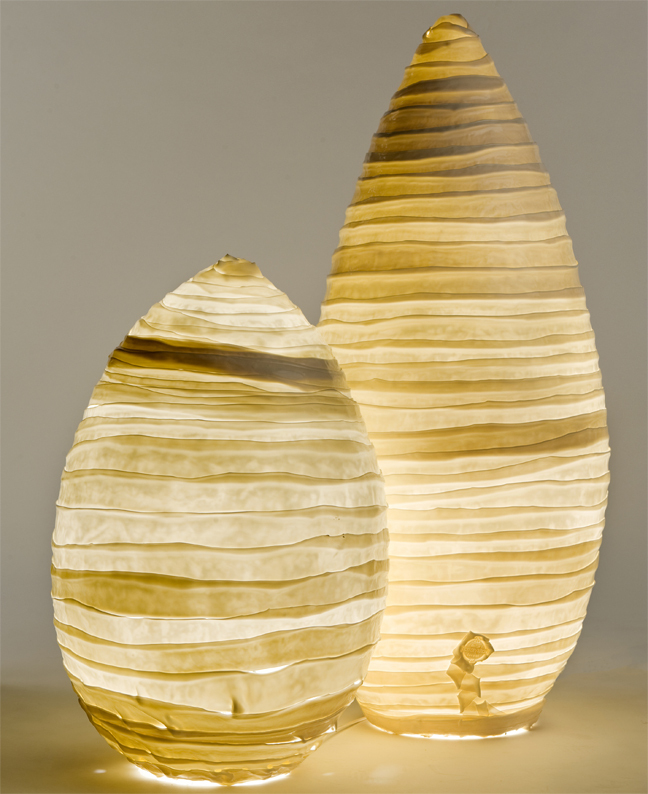 Located in Israel, Yaron is known for pushing the limits and breaking the conventions in the plastic industry. 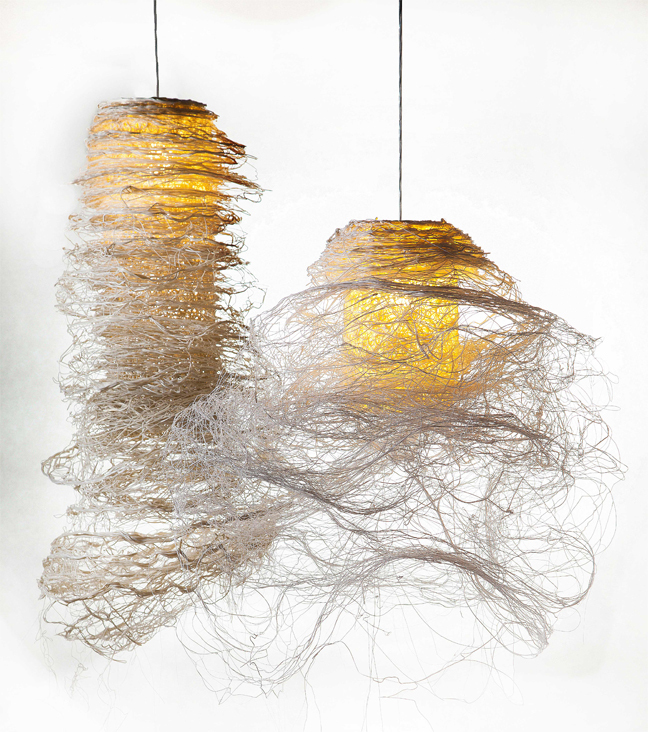 In his vision, Yaron wants to discard the common contempt there is for the plastic material and its cheap, alienated, polluting image; by showing the raw, natural beauty that lies within. In fact, the tremendous ecological damage caused by plastic is not caused by plastic itself, but the demeaning social behavior that wrongly treats plastic as disposable. In fact, plastic offers myriad properties that are ecologically superior to traditional materials: plastic can be processed between 180-240 °C, whereas traditional materials require a minimum of 1000 °C, making them high energy consumers and more harmful to the environment. Yaron began his journey melting plastic in a home appliance meat grinder with external heating. Once he saw the newborn aesthetics of organic nature that was formed, he immediately knew he had something special in his hands. In time, a library of new textures was written as Elyasi excelled his technique. 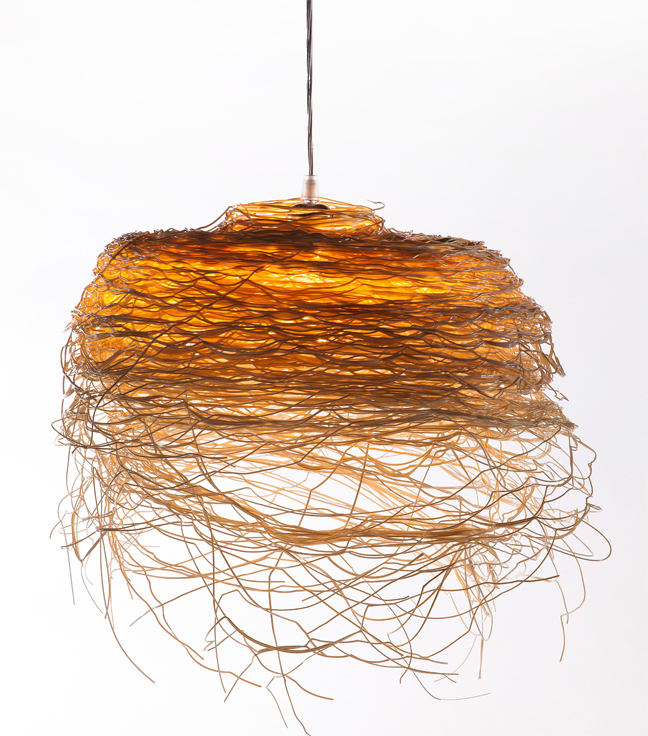 This handmade craft gave birth to a wide range of lighting fixtures, furniture and home decoration abjects. Integrating robotics, specially designed molds and plastic extrusion resulted in Free Molding Technology*. The designer feeds a pattern into a computerized program that controls the extruder’s velocity, and a robotic arm replaces the human one, maneuvering the mold beneath the stream of melted plastic, allowing different patterns and textures to form. Using Free Molding Technology*, small mass-produced lines of different designs can be easily implemented, producing similar products yet maintaining each and every one’s individuality. On one hand, introducing random factors to the process, even though robot-controlled, generates unique artifacts. As in nature, no two are completely identical. On the other, the computer interface presents the ability to introduce precise, specific designs, patterns and logos into the production process. The aesthetic achievement is profound. Each object is one of a kind. Evidence to the success of this “breaking the mold” method was the audience’s admiration during the designer’s first exhibition at The Israeli Trade Fairs Center in 2001. The Milano Mobile show and others throughout Europe followed. As of today, a working prototype of the system is up and running in the studio. Now, Etto studio intends on taking the technology to the next level, designing a friendly user interface and an operating system to allow any designer or even an end consumer to take part in the design process. In an age of market product saturation, individualization and mass customization is everything.